As soon as I saw the adorable Snowman Look Up File, I knew I had to use it!! His cute little face was too much cuteness to resist! 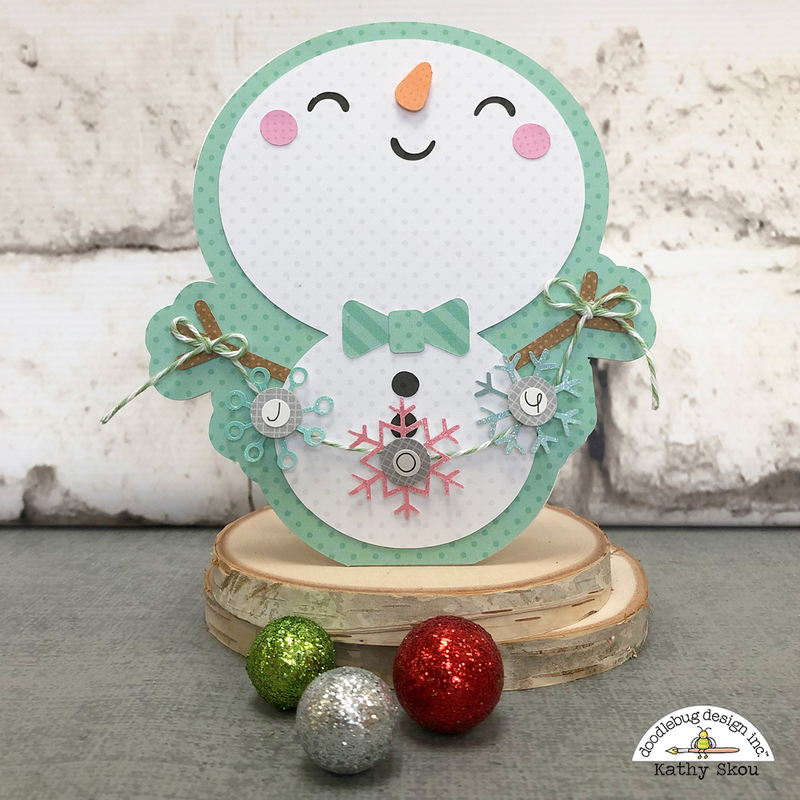 I decided to make a shaped card, and added a little banner using the Snowflake cut file from the Milk & Cookies Collection. I used some Lily White Teensy Type letters to add the word JOY to the banner. I used some of the new Dot-Stripe Petite Prints to piece him together. My next card is a box card I created using the Present Mouse cut file. I made a box of the present file and had the little mouse pop up from inside! The tag is from the Christmas Town Chit Chat pieces. I also added some Doodlebug Sequins in Ladybug to the holly berry for a bit of sparkle! I added some Stickles to the snow for some shine and topped it off with the 'Tis the Season Banner from the Chit Chat pieces. I love how this card folds flat, but then opens up to such a fun dimensional look! 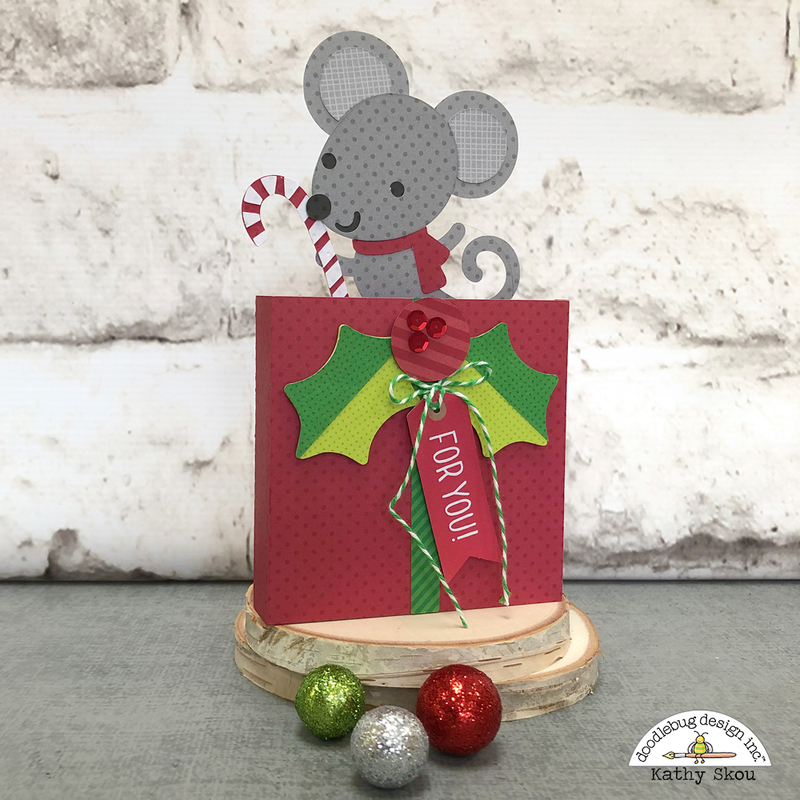 Be sure to check out all of the Christmas Town Cut files in the Lori Whitlock SVG Shop Here and they will be coming soon to the Silhouette Store! If you make something using one of the files, be sure to tag Doodlebug Design on Social media so we can see! That's it for me today, thanks for stopping by to peek!